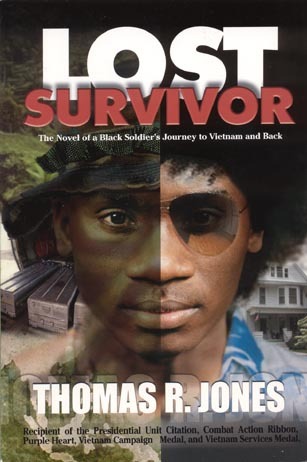 Jones, Thomas R. Lost Survivor. Springfield, IL: J Publications, 2005. Johnny Douglas was a hard-working, God-fearing 25-year-old when he left his Springfield, Illinois home to fight the war in Vietnam. As he said goodbye to his mother and wife, he promised he would return—alive and well—in a year. But 13 months in the jungles of Nam took its toll on Johnny Douglas. In a world of kill-or-be-killed, nothing—not even his mother's lessons of right and wrong, or the Word of God—could have prepared Johnny for the brutality he was forced to face. Instinctively, he adapted and survived. And, just as he promised, he returned home one year later. When "JD" returned, his family thought the nightmare was over—and so did JD. But surviving in Nam came at a price—a price paid by his family, friends, strangers, and even himself. The once-clear distinction between the streets of Springfield and the jungles of Nam was blurred as the war raged on—this time in his head. Johnny was different now. Nam had changed him. Could he readapt to survive at home?